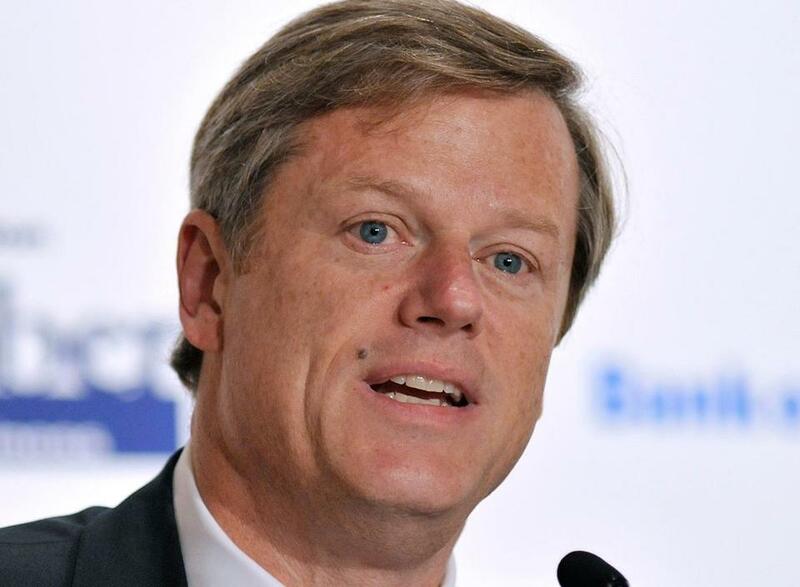 Charlie Baker addressed a number of other issues, from welfare reform to lowering health care costs, at the forum, held at the University of Massachusetts Club. He sounded a bit like a populist Democrat, bemoaning the sharp divisions between the wealthiest and those most in need, between those with access to high-quality education and those stuck in failing schools. Deval Patrick? Edward J. Markey? Nope. It was Republican gubernatorial hopeful Charlie Baker, echoing Democratic rhetoric in an effort to promote some of his longstanding policy prescriptions from welfare reform to expanding charter schools. Income inequality has become a rallying cry for Democrats across the country, from US Senator Elizabeth Warren to Mayor Bill de Blasio of New York. But it is more unusual to hear about it from a Republican, even one running as a moderate in a blue state. “I think the most important thing we need to realize is that we very much have two economies, we have two educational systems, and we have two kinds of communities,” Baker said at a Boston breakfast forum before business leaders Monday. He attributed much of that decline to stagnant job growth over the last 14 years and an economy that has boomed in certain sectors, while lagging in others. “We’ve got to fix that,” he said. In an hourlong question-and-answer session — sponsored by Associated Industries of Massachusetts, the public relations firm Denterlein, and NAIOP Massachusetts, the commercial real estate development association — Baker offered no broad new policy proposals. But he list ways he believes the gaps in the state could be reduced. On education, Baker voiced support for expanding charter schools and improving connections between high schools and employers. On welfare reform, he spoke about increasing funding for job training programs and working to make sure people eligible for those efforts participate in them. He also boosted more familiar GOP fare: support for streamlining state regulations to make it easier for businesses to expand and repealing an inflation-linked gas tax increase put on the books by the Legislature last year. But his language carried similar notes to that of his Democratic rivals. “Raising the minimum wage is just the right thing to do,” Baker said, adding that he hopes to see it combined with small business tax credits to help cushion the blow of a wage floor boost. Speaking to reporters after the event, Baker said he often refers to the economic gap in Massachusetts. And he said closing the achievement gap between black and Latino students and their white counterparts has been a primary thrust of his campaign. His rhetoric about social stratification, he said, is based on data. It is a “big part of how Massachusetts needs to think about its next act,” added Baker, one of 11 people running for governor. Some observers saw political positioning in his words. John Regan, executive vice president for government affairs at Associated Industries of Massachusetts, said he was not surprised by how Baker couched the economic gap. Joshua Miller can be reached at joshua.miller@globe.com or on Twitter @jm_bos.